STATIONERYPAD011 stands unopened and facing right while displaying your artwork prominently on the front cover. This Mockup renders any supplied design onto the front of a brand new stationery notepad which appears upright casting a light shadow ahead of itself. The final render includes a heavy cardboard and sheet paper texture which is automatically rendered on the side of the pad. Adjusting the colour of the paper texture or the intensity of the included shadows is easily performed through the layer effects. 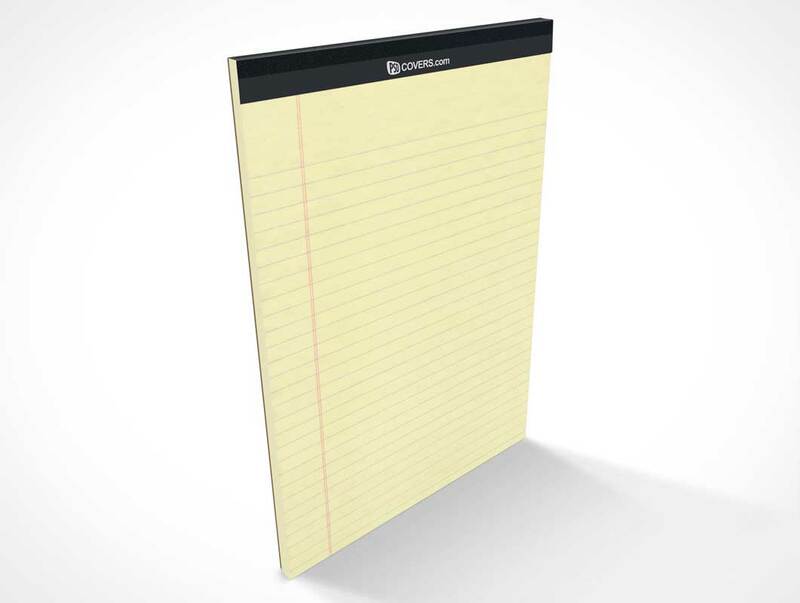 This is a standard stationery pad measuring roughly 11.75 x 8.5 in and simulates the thickness of a product with 100 pages.